Upper Deck was founded on innovative ideas and trying things that were different. 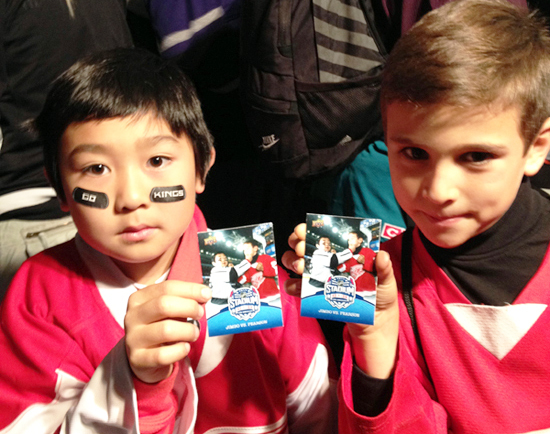 When we heard about the NHL® Stadium Series which were also innovative and different, we knew we had to be a part of the program. 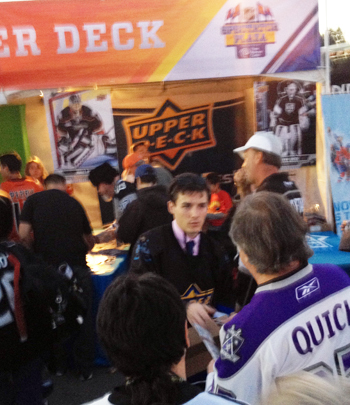 Upper Deck stepped up to be a sponsor of the NHL® Stadium Series and at the first game in Los Angeles, over 50,000 fans were treated to a memorable night of hockey as the Los Angeles Kings and the Anaheim Ducks faced off. 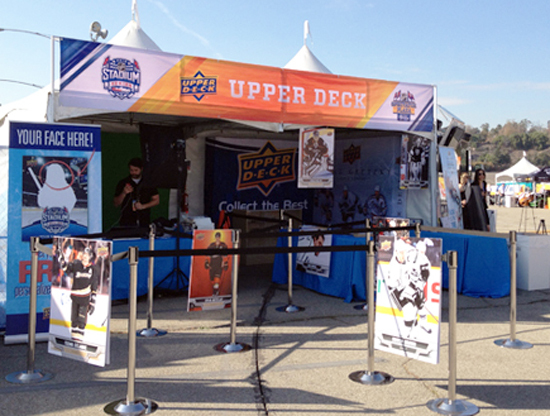 What made it really exciting was Upper Deck was there in force to provide fans with some great experiences ranging from a trading card station to professional photo shoot area where they could get a personalized Upper Deck card of themselves made on the spot! 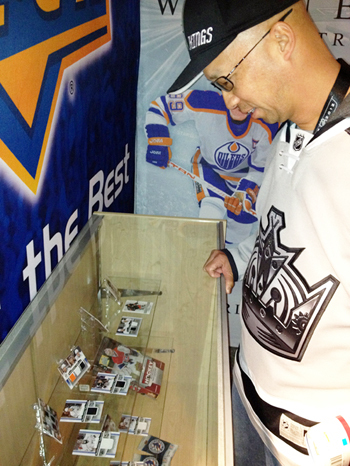 Hockey fans converge on the Upper Deck area to score free cards in the trading card area. 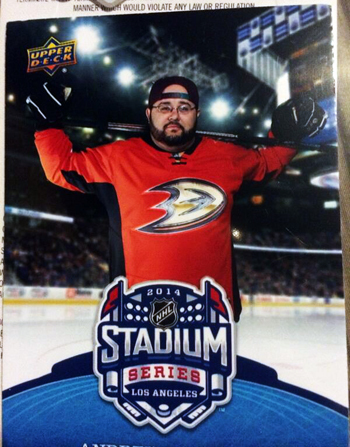 Upper Deck had some rare insert cards from the Kings and Ducks that would take a fan’s breath away. 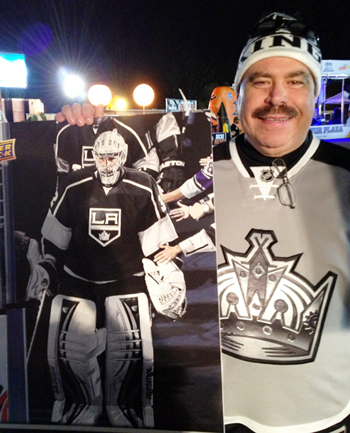 This die-hard Kings fan had to be removed for drooling on the glass. Kids love the personalized cards! Who knows? 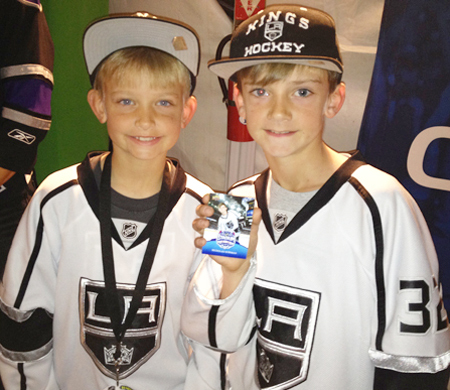 Maybe we’ll see these kids on an Upper Deck trading card again in the future! The Upper Deck area got VERY busy right before game time! How cool where the personalized cards? Well even Jane Yamamoto from NBC LA got in on the fun! 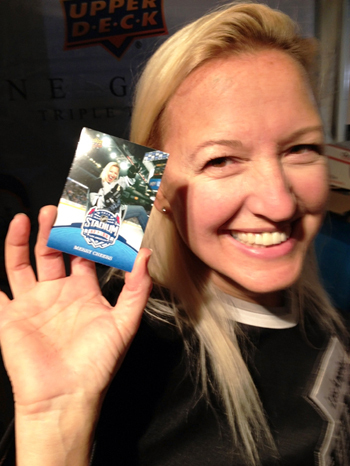 Jane Yamamoto shoots and scores her very own Upper Deck hockey card! 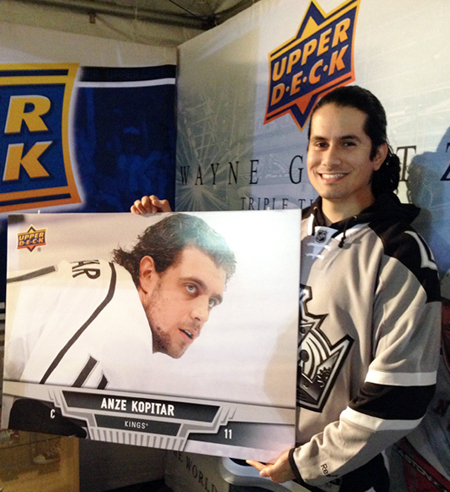 After the game, Upper Deck staff treated some die-hard fans to some special blow-up cards we created exclusively for the event from their favorite players. These lucky fans were all smiles! 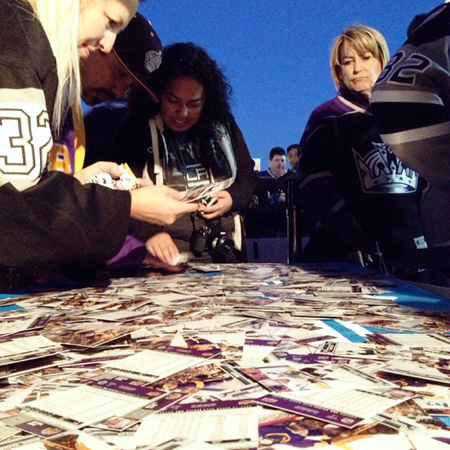 Fans had an amazing time at the event and afterwards both Ducks & Kings fans took to Twitter to show off their new Upper Deck cards!